The pumpkin farms were bustling this past weekend. Everyone heading out to get that perfect pumpkin with their little ones. But, there’s only one more week until Halloween. For some (like me), that means scrambling to get those orange globes cut, cleaned, and carved! Instead of facing that mess, here’s an alternative idea. 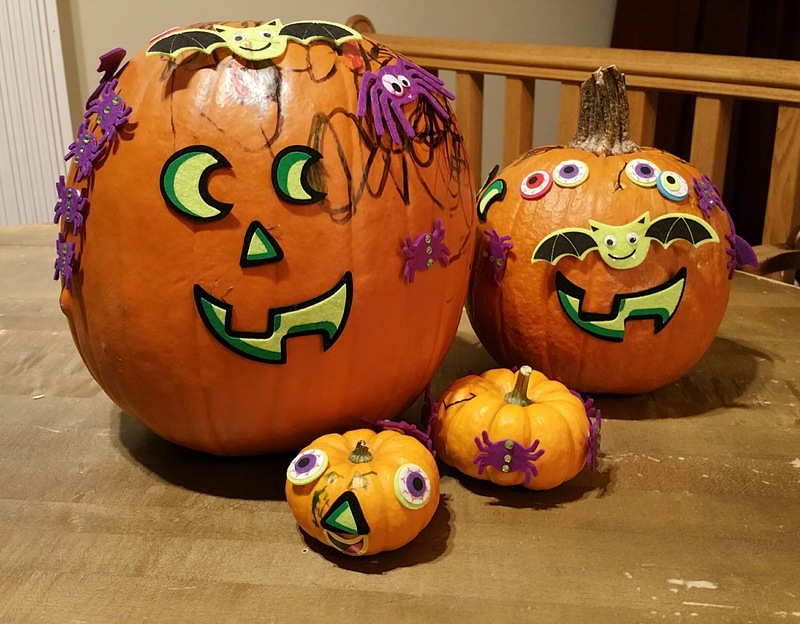 Back to the point – our family decided we’d decorate our pumpkins instead of carving them. I came across some fantastic pumpkin stickers at Target in the dollar section. Apparently you can also get a similar product on Amazon. We grabbed the stickers and bought some permanent markers of all sorts of colors. It was a lot of fun, the final product was very cute, and I was thrilled to avoid the carving mess this year. Best of all, both of my sons are very proud of their final product. Now this little guy was decorated entirely by my 4 year-old. And without a doubt, it is my favorite! And they even survived a rainy night. Easy, neat, and clean pumpkin decorating for kids. These pumpkins look good, and I didn’t have to wash a single knife. Tell me, what are your tricks for decorating pumpkins?